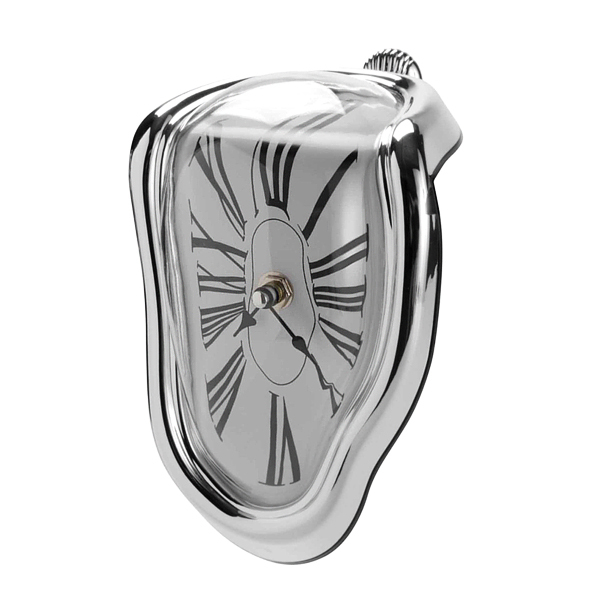 Melting pocket watches are a recognizable part of Salvador Dali’s paintings the most famous one is “The Persistence of Memory”. 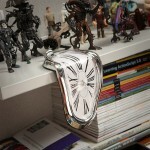 This silver clock inspired by the melting pocket watches from Dali‘s painting “The Persistence of Memory” looks quite creative. 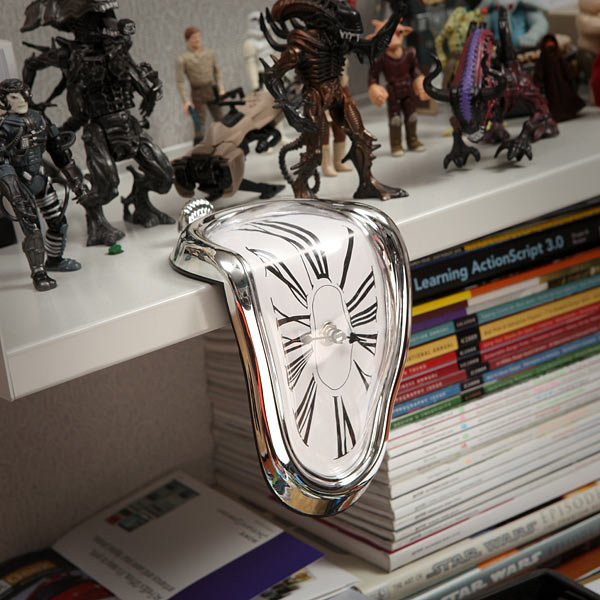 It is curved and crooked and can be set on the bookshelf creating a feeling it is about to slip from it just like in the painting. 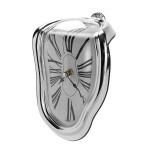 Many people interpret the melting pocket watches as a symbol of time’s strange substance. It’s not exactly how we measure it but has its own structure and matter we cannot grasp. 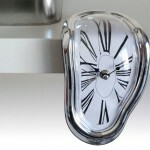 The Melting Clock shows time’s stretching substance in the manner Dali painted it. 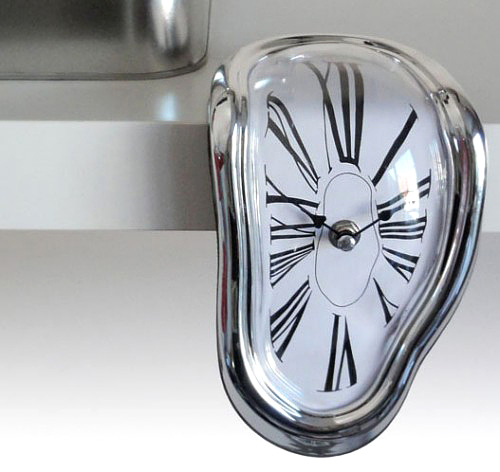 Looking at this Melting Clock one can always remember about the relativity of time and yet follow our human measurement of it. 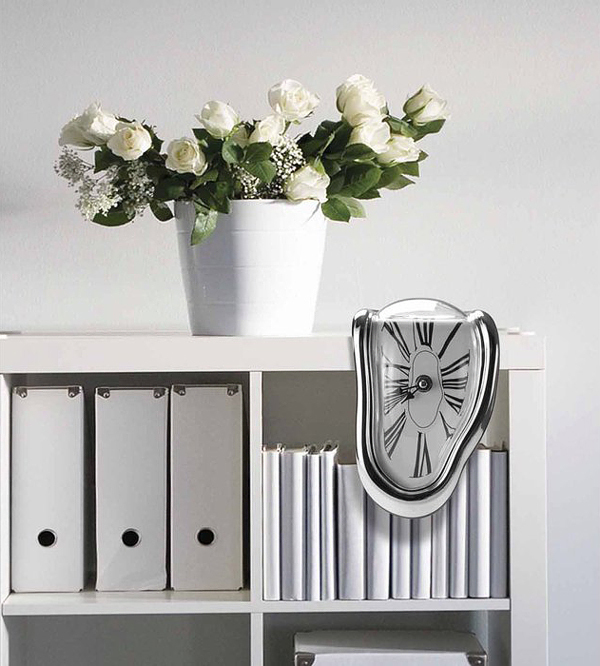 A perfectly balanced clock can rest on the edge of the table, bookshelf or any other flat surface. 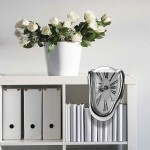 The clock features a chrome brim and Roman numerals and two hands. 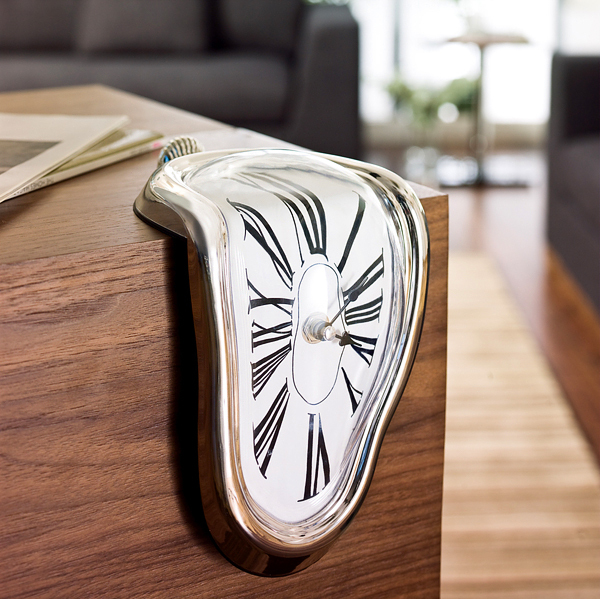 This Melting Clock is not the only clock inspired by Dali‘s famous artwork. 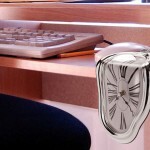 There are other similar projects out there by different firms as well as made in different materials. 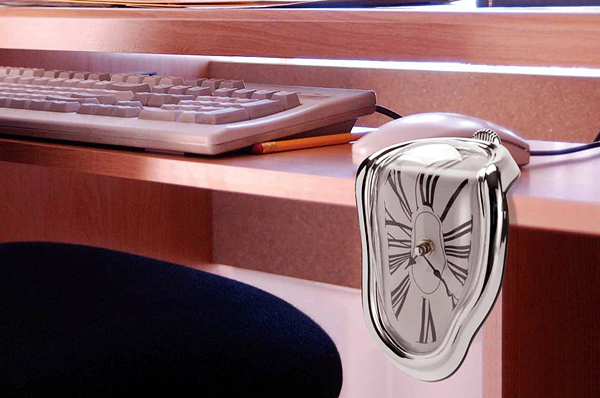 These can be found at Amazon including the one featured here.